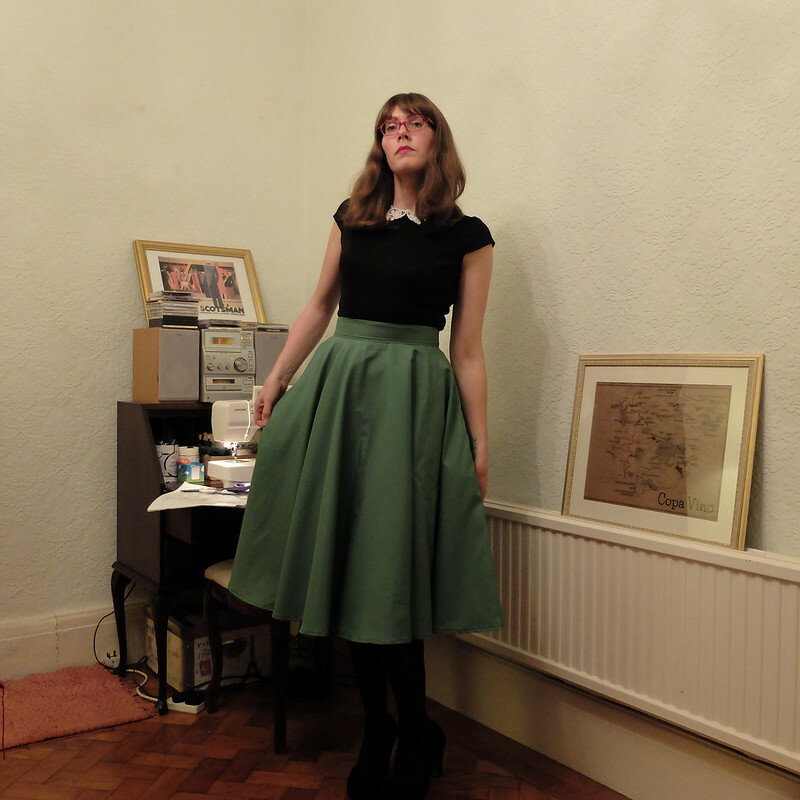 Porcelina's World: Sewing Update: My First Circle Skirt! 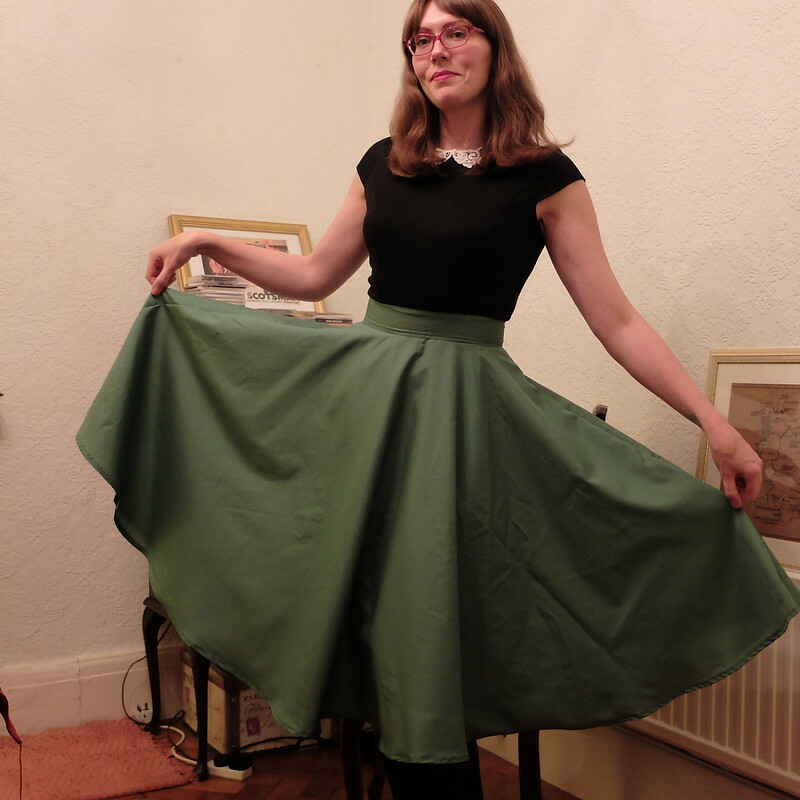 Sewing Update: My First Circle Skirt! Welcome back to my sewing corner! 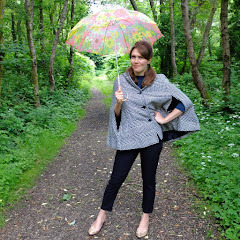 It's funny how blogging about sewing becomes a motivator to sew. 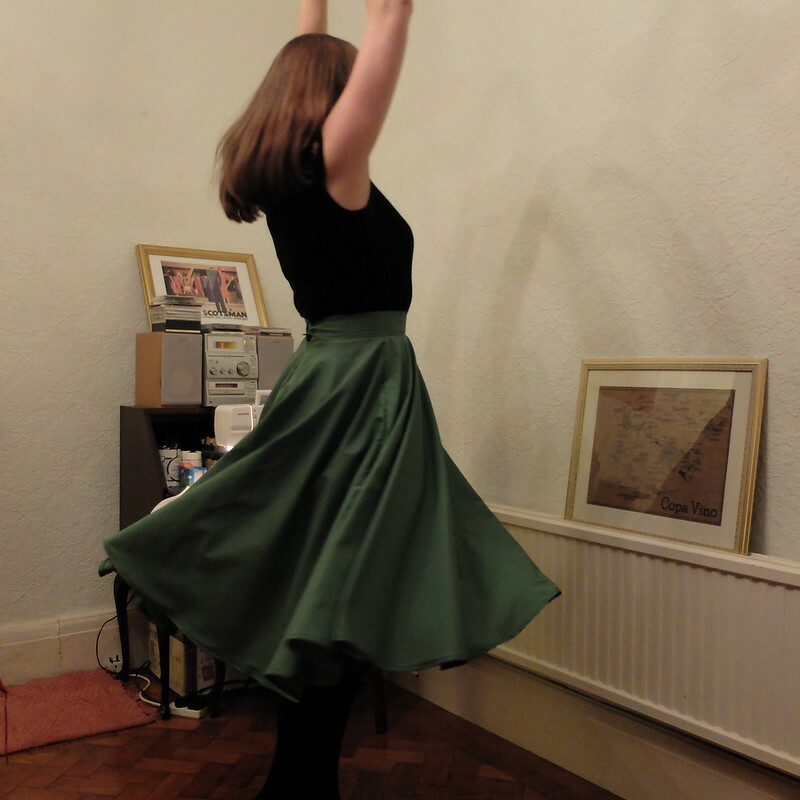 So, I have another finished project to share today: a circle skirt. Let me preface this by saying it's a practice circle skirt that I'm not intending to wear. Excuse the poor lighting again and the messy background, this is real life! The fabric I used for this skirt is a particularly nasty synthetic type, with a few flaws. But, it has served me well in helping me learn what not to do when I come to making a skirt in my nice fabric. 1) The amount of fabric used is huge, and I was never going to be able to cut the skirt in just one piece, or even two - I needed to construct the skirt from three panels. Most tutorials and pre-made patterns assume you're doing less. 2) I needed to be able to make the skirt long enough for me. 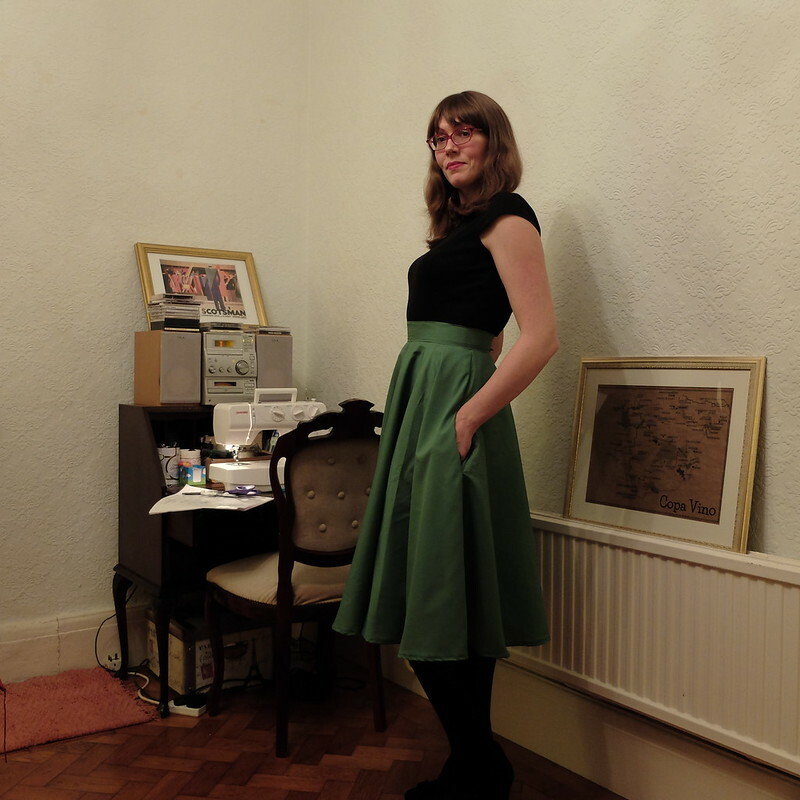 3) I want to be able to make more circle skirts in future - they're a classic wardrobe piece. Now I have a formula to return to again and again. The calculating, measuring and cutting part was fairly time-consuming. The actual sewing has taken me ages, because I was only doing a teeny bit at a time over a few months. Hemming isn't particularly fun either, and with a circle skirt there's a seemingly endless hem. It's got a lot of flaws but overall the self-drafted pattern worked well. A good fit, and look at how lovely and long it is. I will definitely be making this skirt again in some nicer fabric. I have a teal fabric in my stash that might work, but I do have to check there's enough of it first! I'll try a rolled hem, but I need to buy the special foot for my machine. The most laughable error is that I put the buttonhole the wrong way round! Ha! I might make the waist slightly more generous, so that I can tuck jumpers in. Have you ever made a circle skirt? Any tips welcome! Yay! That's a great first attempt. I'm usually too impatient to do a trial run of anything but having done just that at the weekend it makes sense, especially when you're purchasing fabric especially. The skirt looks great, the perfect length. Well done! I have tried the rolled hem foot before but they didn't work for me. Difficult to keep the fabric even inside. I prefer to pin hem by doing one row of stitching close to the folded edge, cut fabric close to stitching and then fold up once more and stitch. All by machine so pretty even stitching. ByHandLondon does a tutorial I think. Such a great first attempt, this skirt is awesome! I usually like to use cheaper fabric when I trial a new pattern too.. I would hate to waste my good stuff!!! Woohoo! Achievement unlocked! It doesn't look awful as it is - could you save it for turning into a Halloween costume? It's got a good 'swish' on it. That's a good idea, adding it to the fancy dress box. I'm very impressed! I would have thought a circle skirt is a very challenging task. I've taken up hems on them before and you are right, they go on forever. Excellent job Porcelina! That is so great that you were able to make this skirt drafted from your own pattern and that not only were you able to make it but also to understand the math behind it. It really looks fantastic on you. I hope the next ones will be a lot easier for you! I can't see any mistakes at all it looks great, I can imagine how so much hem would drive you demented though! Good job! Persevering with an enormous hem is admirable. You might like hem lace and hand-sewing the hem. Forgot to say, you'll probably want interfacing for the waistband (keeps it from rolling/folding). Thanks Dee, I did indeed use interfacing, it works well! Sorry, didn't mean to tell you something you already know! :-) I was thinking of a 3/4 circle skirt I made, which definitely benefited from it. I just found a better link to the sew-along at Casey's newer blog. Sorry, I think the one I used before might be broken? 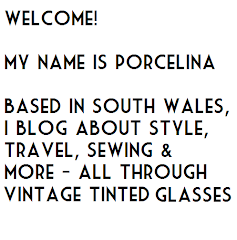 Hi Porcelina, I think it turned out great, even though you listed things you'd do differently - from this side of the screen its perfect. This skirt looks great! Too bad the fabric is sad-poly because the color is quite nice. 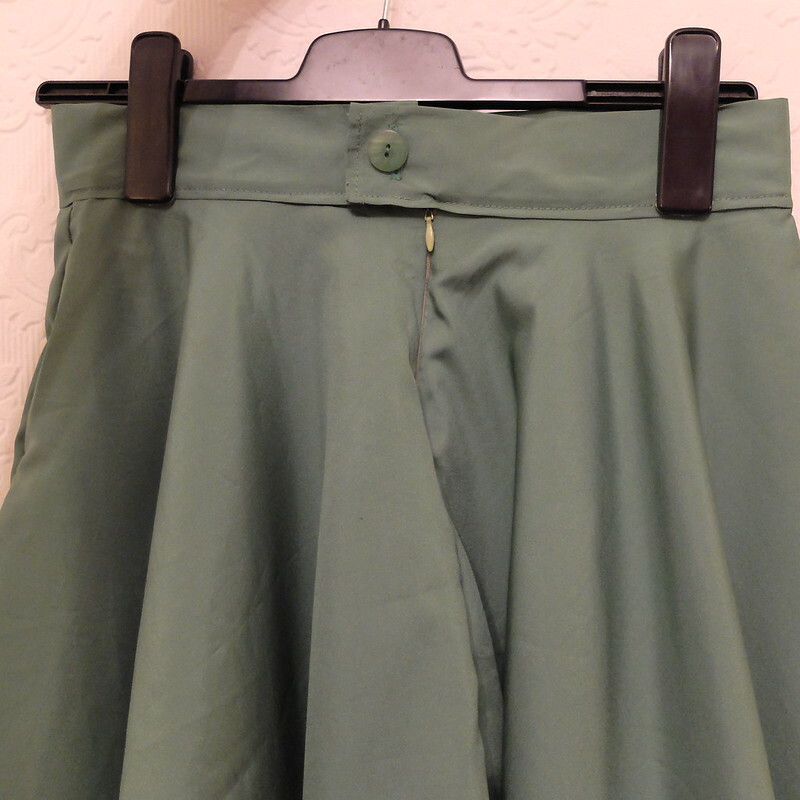 I usually hem circle skirts with bias (sewn onto the right side, then the tape turned inside and pressed well before stitching the other side of the bias down by hand). It takes a while but it is worth it in the end! It looks really good! Little errors aren't really a big deal, and even a skirt in a dodgy fabric is useful for hanging around the house in sometimes. I made my first circle skirt this winter, in a heavy wool. 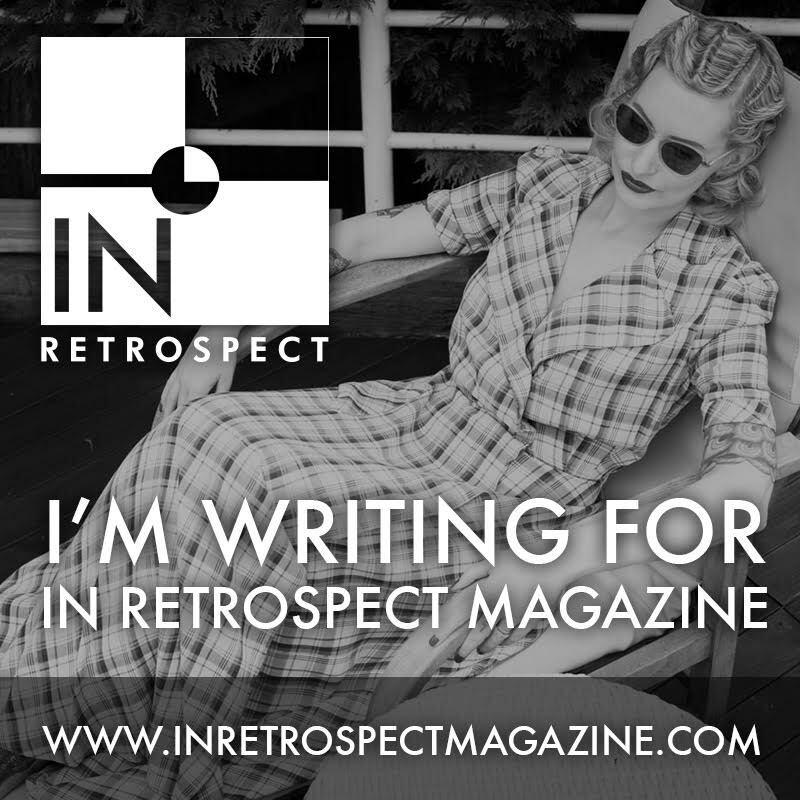 It's got some issues too (never mind) but it looks good and is like wearing a picnic blanket!